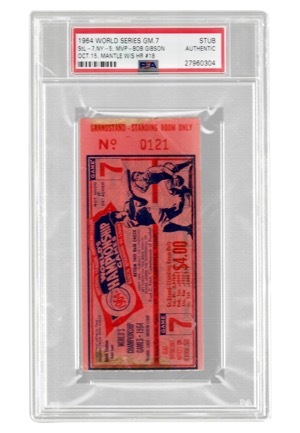 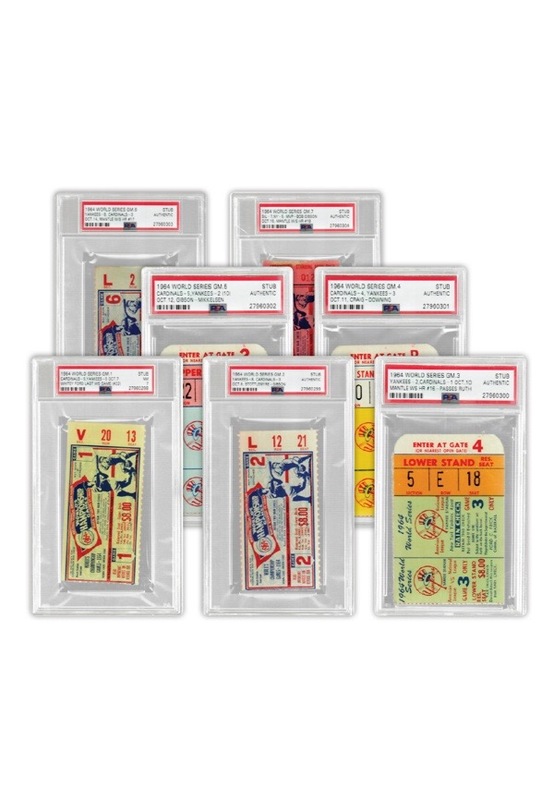 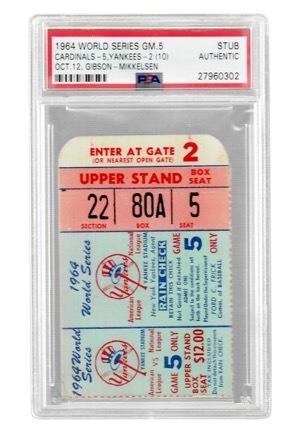 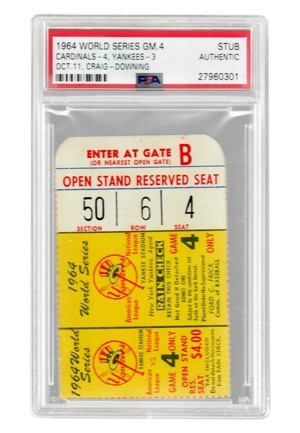 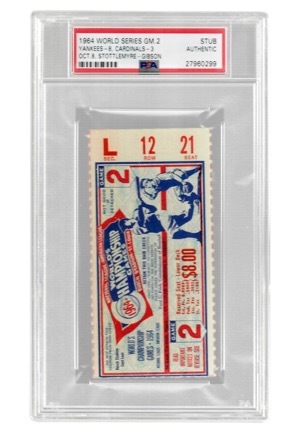 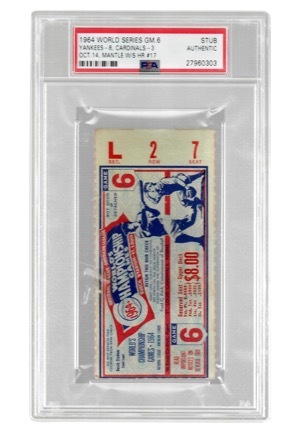 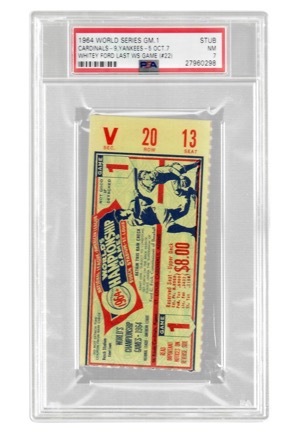 Offered are seven ticket stubs from the 1964 World Series, a Series the St. Louis Cardinals beat the New York Yankees in seven games. 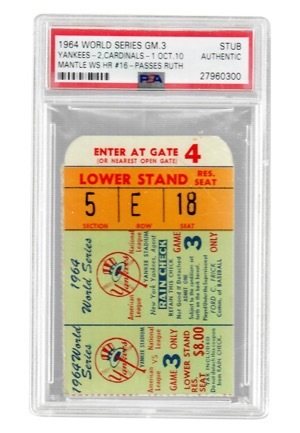 During the series Mickey Mantle hit his 16th World Series home run which passed Babe Ruth all-time as well as an additional two. 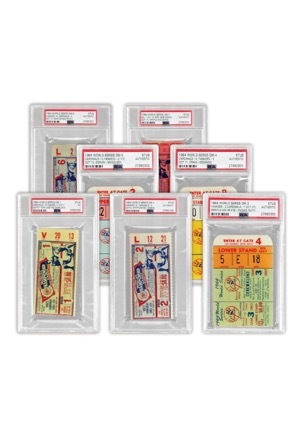 All stubs have been encapsulated by PSA and six are graded “AUTHENTIC” and game one is graded “NM 7”.